Protect your table with the Disney Princesses! 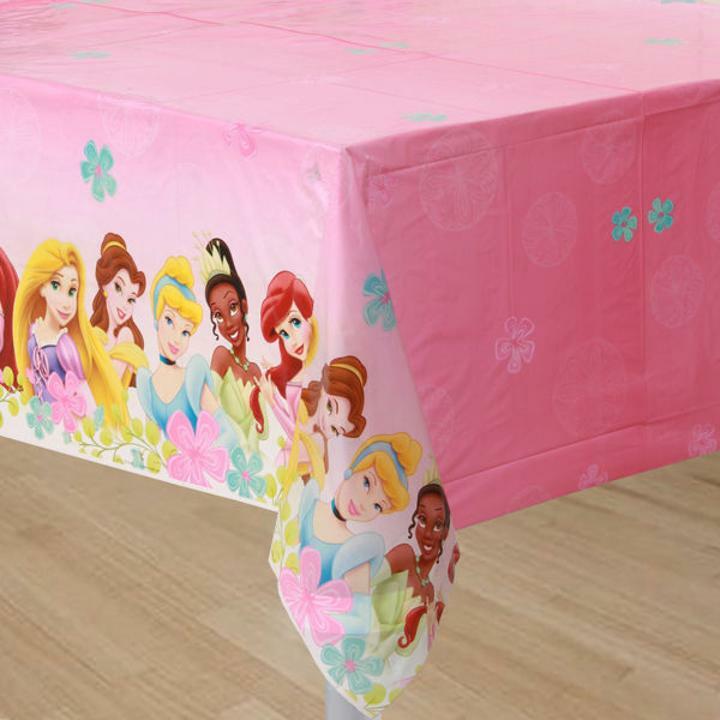 Disney Fanciful Princess Plastic Tablecover measures approximately 54" high x 102" wide. Add even more color to your party area by covering surrounding tables with solid-color tablecovers that coordinate with your Disney Princess party theme.